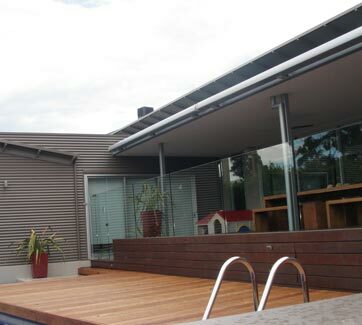 If its shade that you want, when you want it, then a retractable folding arm awning could be for you. 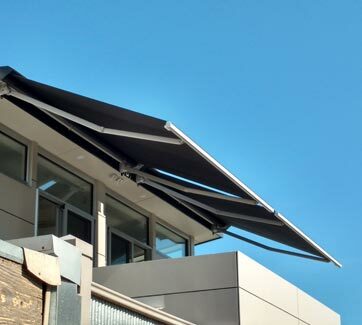 With a retractable folding arm awning, you can change any outdoor terrace, patio, courtyard or decking into a cool shaded area, whether it’s for entertaining, relaxing or used for protecting your homes interior against the harsh sun. 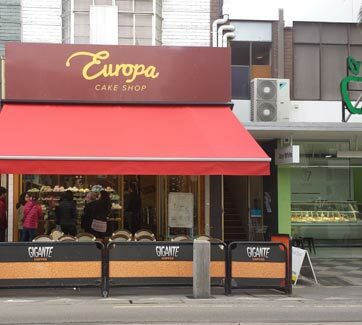 When not required, the awning will fold away discreetly against the wall leaving no unsightly structures. The frame of our retractable folding arm awning comes in various models, the traditional open body unit, the semi-cassette and the full cassette unit, with 3 standard colours to choose from, some units can also be powder coated to a colour of your choice. Frames can be as small as 2m wide and can span up to a massive 18m in width by joining profiles together. Various projections are available from a modest 1.6m up to a grand 4m projection. The units are controlled either manually or motorised. With the manual system, a removable crank handle is used to extend and retract the awning. On the motorised system, a tubular motor is hidden away inside the tube; the awning can be extended or retracted all at the touch of a button. No matter which version of the retractable folding arm awning you get, ease-of-use is guaranteed. For more information or to discuss your exact requirements for your retractable folding arm awning, just email or telephone and one of our friendly staff can arrange to meet with you for a free no obligation measure and quote – or go to our contact us page.